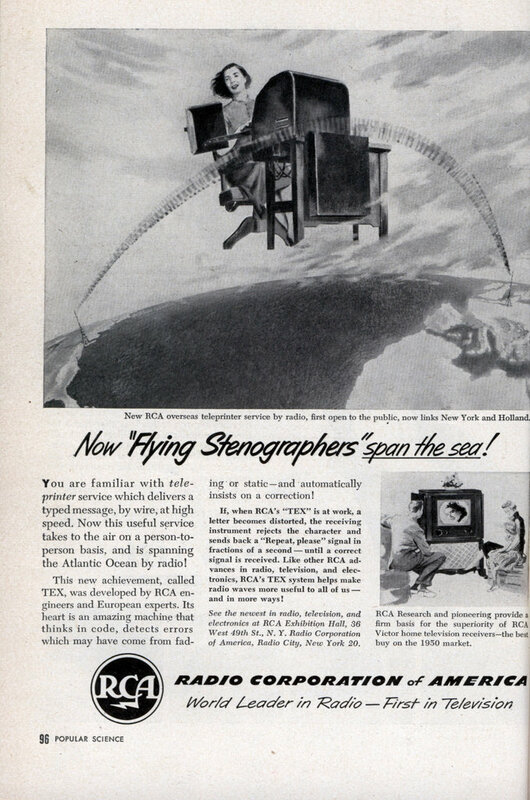 Now “Flying Stenographers” span the sea! You are familiar with teleprinter service which delivers a typed message, by wire, at high speed. Now this useful service takes to the air on a person-to-person basis, and is spanning the Atlantic Ocean by radio! 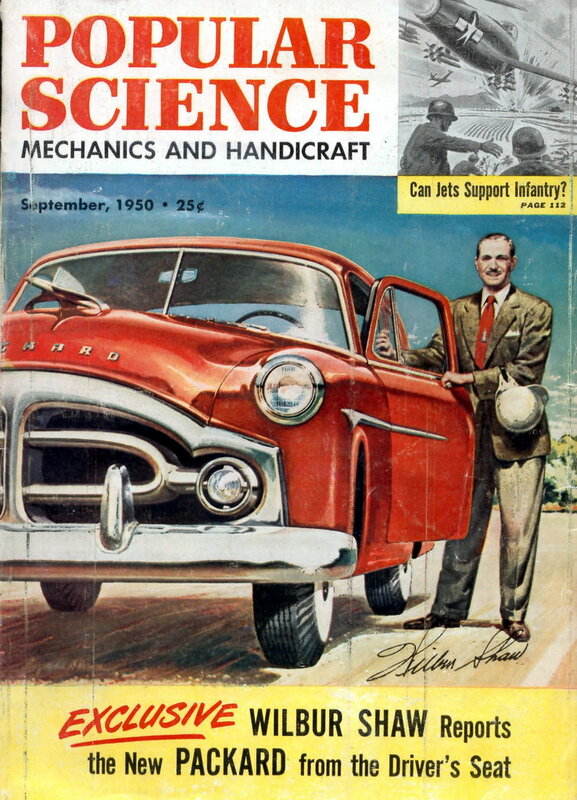 This new achievement, called TEX, was developed by RCA engineers and European experts. Its heart is an amazing machine that thinks in code, detects errors which may have come from fading or static —and automatically insists on a correction! If, when RCA’s “TEX” is at work, a letter becomes distorted, the receiving instrument rejects the character and sends back a “Repeat, please” signal in fractions of a second — until a correct signal is received. Like other RCA advances in radio, television, and electronics, RCA’s TEX system helps make radio waves more useful to all of us — and in more ways! See the newest in radio, television, and electronics at RCA Exhibition Hall, 36 West 49th St., N. Y. Radio Corporation of America, Radio City, New York 20. She must get cold at 20,000 feet mid atlantic with nothing but a dress on. A heck of a lot higher than that, the view goes from the Great Lakes of North America to all of Europe. She’s in near earth orbit, a truly breathtaking viewpoint. Breathtaking as in “there ain’t no air for her to breathe”. and its more shiny 2001 remake.